Dr. Mann offers all of his patients the world-class makeover of their dreams. All with the latest dental technology and in a comfortable and soothing atmosphere. Dr. Mann, known for his beautiful cosmetic dentistry, has made it his life's work to ensure that every patient not only has a pleasant experience but leaves the office with a beautiful smile that changes their lives! If you need to find a cosmetic dental office, look no more. “With our latest cosmetic dentistry, sedation dentistry and full mouth rehabilitation techniques, we can provide you with whiter teeth and the world-class look of your dreams in as little as a few hours”, says Dr. Mark Mann. He continues, "It's astounding how confidence levels improve and the lives of people change with just two appointments. More often than not, when a patient’s dentistry is completed and they first see the results, their instantaneous pleasure at seeing their beautiful new look is often times emotionally overwhelming and brings tears to their eyes. The satisfaction that I get is inspirational and defies any explanation." we'll answer questions you have. 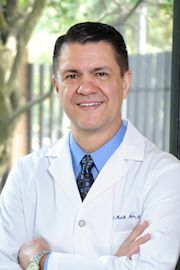 Dr. Mark Mann, a Sugar Land cosmetic dentist, loves cosmetic dentistry and working with people to solve their cosmetic dental needs. His favorite dental procedures are porcelain laminate veneers because of the incredible changes that are made to the appearance of the smile with these veneers. His kind and empathetic ear for patient's desires and feelings. His "best fit for the patient's lifestyle" treatment planning. His recommendations for long term treatment goals that are patient accommodating. His close attention to patient comfort during dental treatment appointments to overcome their "fear of dental care." 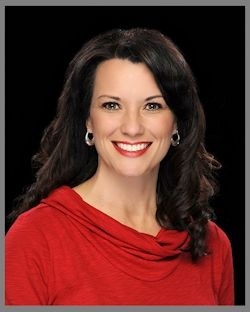 Dr. Mann states that cosmetic porcelain veneers, teeth whitening and clear invisible orthodontics have made dentistry a captivating and inspiring profession not only for the cosmetic patient, but for the cosmetic dentist as well. Ugly teeth are a thing of the past and today, everyone has access to a beautiful smile with clear invisible orthodontics, cosmetic veneers and teeth whitening. Regarding cosmetic teeth whitening, Dr. Mann says that most of his patients have some interest in cosmetic procedures such as clear invisible orthodontics and cosmetic makeovers but, he’s noticed that most all of his patients want teeth whitening. Demand for this cosmetic service is definitely on the rise! Professional teeth whitening will remove stains from the teeth caused by coffee, teas, tobacco, food and tartar. Dr. Mann says, "We’ve been using teeth whitening procedures for years and have never seen any long term adverse effects on teeth or gum tissues. With our teeth whitening procedure, we can help your teeth become several shades lighter." 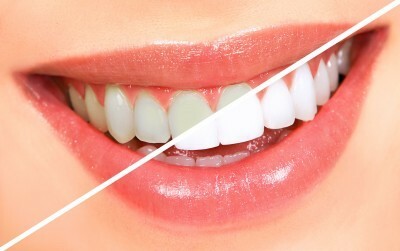 We offer professional teeth whitening in our office with ZOOM! ZOOM! whitening for the whitest teeth ever! is the latest and most effective way to instantly get the cosmetic whitening of your teeth the way you've always wanted in less than 90 minutes and without porcelain veneers. We apply the special Zoom! Formula, place you under the Zoom! power light and before you know it, your whitening is complete and you will have a whole new brighter and dazzling smile. The ZOOM! chairside teeth whitening system is a scientifically advanced teeth whitening procedure. It’s safe, effective and fast, very fast. In about 90 minutes your teeth will become dramatically whiter. ZOOM! is ideal for anyone needing immediate cosmetic whitening results for an important occasion such as a wedding, graduation, or any other event in which lots of pictures will be taken and porcelain veneers are not an option. The convenience of Zoom! whitening in comparison to other teeth whiteners requiring many days of wearing trays or strips makes it the perfect whitening choice for the busy individual. The procedure is simple. It begins with a short preparation to cover your lips and gums, leaving only your teeth exposed. We then apply the proprietary Zoom! teeth whitening gel, which is used with a specially designed light. The Zoom! light and gel work together to gently penetrate your teeth, breaking up stains and discoloration. With proper care your smile will sparkle for years. This cosmetic teeth whitening process is effective on most discolored teeth. Darker stains, such as those caused by antibiotics, are more difficult to whiten and may require porcelain veneers. 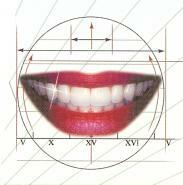 The degree of teeth whitening will vary from patient to patient, depending on the structure of the teeth. We also offer a take-home option in which we create a tailor-made teeth whitening tray for patients. 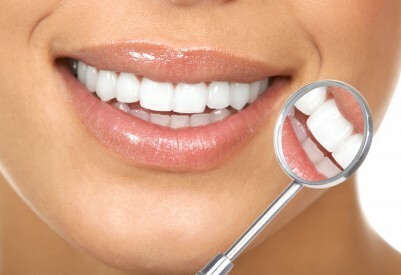 Patients apply a teeth whitening gel in the tray and place it on their teeth for 30 to 60 minutes a day for two weeks. Contact Mann Dental Care, your teeth whitening dentist in Sugar Land TX to learn more about our teeth whitening cost options. A scientific study in 1982 discovered that hydrofluoric acid applied to porcelain would cause a micro-etching of the exposed porcelain surface. Since it was well known that tooth enamel also could be micro-etched, researchers predicted that a resin adhesive could be used to bond the two together securely. A dental veneer is a thin covering of ceramic porcelain. It is made by stacking and contouring porcelain onto a heat resistant die and firing it at a high temperature. The porcelain veneer shell is then conditioned, etched, and bonded to the tooth enamel to create an esthetic enhancement to the tooth. Cosmetic veneers can be made of composite, but they are more prone to stain and discoloration than porcelain veneers and are less durable, so, composite veneers are less likely to be recommended by the cosmetic dentist. To the cosmetic dentist, porcelain veneers are a useful means of restoring visible teeth to an acceptable cosmetic state for the dental patient. A cosmetic dentist may use only one porcelain veneer to enhance a smile, or as many as 20 to completely recreate a patient's smile with a beautiful and whitening cosmetic dental makeover. The cosmetic dentist will use veneers to close spaces that cannot be closed with orthodontic treatment. Porcelain veneers can also be used to lengthen the teeth of mature patients who have teeth that are worn. In may cases teeth that are crooked and malpositioned can be made to look perfectly straight and natural using porcelain veneers. Spaces can be closed, the length of teeth can be restored, color whitening, shape and symmetry can be revitalized, all using porcelain veneers. The smile is unsightly when its main components the teeth are out-of-alignment, discolored, worn, chipped, cracked, fractured, or broken. To achieve ideal smile beauty, the dentist will use porcelain veneers to realign, recolor and replace tooth components within the smile zone so they form a visual illusion that the teeth are perfect in all respects. A typical cosmetic smile makeover with porcelain veneers near Sugar Land will cost about $15,000 to 18,000 for a smile with eight teeth. With todays improvements in the techniques used by the cosmetic dentist, a perfect smile can be planned, dental procedures implemented, porcelain veneers fabricated and then the dentist will bond them to the teeth to create an illusion that the smile has perfect symmetry and natural transparency. All in as little as two visits to the cosmetic dentist and typically durable from 10 to 30 years.